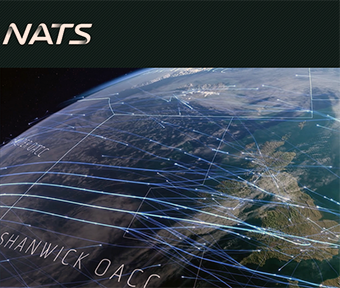 The UK air traffic management service provider, NATS, has announced the organization has invested in Aireon, the company involved in the development of a space-based air traffic surveillance service. Through a network of 66 LEO Iridium® NEXT satellites, AireonSM will monitor the location of Automatic Dependent Surveillance-Broadcast (ADS-B) equipped aircraft flying anywhere in the world, transforming the way air traffic control services are provided. The service will offer global air traffic surveillance of aircraft. This means that oceans and remote regions like the poles, deserts and mountainous areas will have real-time aircraft surveillance for the first time. The forecasted safety and airspace capacity benefits, together with the savings in fuel and carbon emissions, are being hailed as the greatest revolution in air traffic management since the introduction of radar 70 years ago. News of the US$69 million investment, worth around 10 percent equity, was announced at a press conference in Washington DC, near Aireon’s headquarters, at which NATS also confirmed they are currently consulting with their customers about introducing the satellite technology for use over the North Atlantic, starting with operational trials from 2019 to deliver the capacity and safety benefits that the airspace requires to keep pace with demand. Last year, NATS Controllers handled 500,000 flights through North Atlantic airspace — that’s 80 percent of all transatlantic traffic — and, by 2030, industry estimates expect that to grow to almost 800,000 flights. Being able to control this volume of flights as well as offer airlines the routes they want at a speed that suits them would generate a net saving of more than $300 in fuel and 2 tonnes of CO2 per flight, according to analysis by NATS and ICAO. That equates to more than a million tons of CO2 saved every year. Monitoring aircraft in real-time will also support the reduction of separation distances from around 40 nautical miles (nm) to just 15nm, in turn making the airspace more flexible and with predictable fuel and environmental benefits. The investment in Aireon has been made by NATS (Services) Limited (NSL) and comes one year after NSL became joint shareholders in the Canadian digital tower company, Searidge Technologies alongside NAV CANADA. Martin Rolfe, NATS Chief Executive Officer, said that this is a transformational technology that will deliver the world’s first truly global air traffic control infrastructure, making flying even safer and more efficient. Investing in Aireon is the best way for us to shape the future of the service in a way that benefits our customers in the UK and elsewhere, and to demonstrate NATS’ commitment to playing a leading role in the development of the next generation of global air traffic technology." Rolfe added that the North Atlantic is the busiest area of oceanic airspace in the world and the gateway to Europe, but its routes have now reached their limit of capacity with existing technology — NATS is delighted to now have a way to safely fulfill the ever-growing demand from customers. This same technology will also deliver fuel savings and CO2 reductions that will directly benefit airlines and their customers. Don Thoma, Aireon Chief Executive Officer, added that NATS was among the first air navigation service providers to see the benefits of space-based ADS-B, and now it only makes sense that they would become a more formal part of Aireon. The enhancements Aireon’s space-based ADS-B service will allow in the North Atlantic are a game changer for the aviation industry and will connect North America and Europe unlike ever before.